How has Doctor Who Legacy lasted a year without this fellow in its roster? Launched last year with a mere two Doctors' worth of content — Matt Smith and David Tennant — the pleasantly free-to-play mobile puzzler Doctor Who Legacy has slowly been adding various incarnations of the Time Lord on a regular basis. And while fans surely applaud the inclusion of William Hartnell, Patrick Troughton, Jon Pertwee, Peter Davison, Colin Baker, Sylvester McCoy, Paul McGann, Christopher Eccleston and even the most recent Doctor, Peter Capaldi, a certain wild-eyed, scarf-wearing, Jelly Baby-munching hero was missing from the equation. "Over the last year, we've worked rather tirelessly alongside BBC Worldwide, to achieve our goal of adding all the Doctors, all the episodes, and all the allies, in Doctor Who's 50 year history. 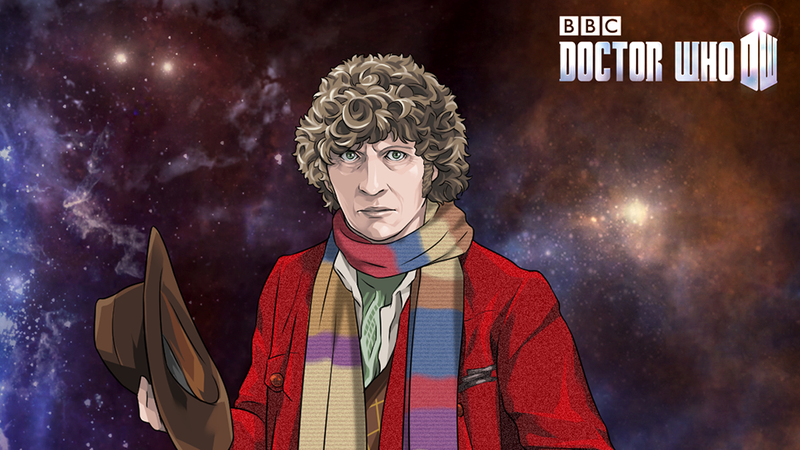 Of course, one of the incarnations of the Doctor had to be the last and final – and in this case it was the amazing Tom Baker. We still have a long way to go of course, but we are really proud of the fact that despite launching with only two Doctors less than a year ago, we have now grown to include every single Doctor incarnation—and a great cross section of companions—from throughout the 50 years, and we continue to grow the game weekly." Yes, even the War Doctor. They are quite thorough. For those unfamiliar, Doctor Who Legacy is a puzzle role-playing games where players form a party consisting of their favorite Doctors and companions, guiding them through battles with foes familiar to anyone who watches the current show. In fact, new content is added quickly after each episode airs, so it serves as a nice companion piece — a fine way to wind down after a particularly exciting episode. And now that MY Doctor is in it, it's even better. D0ctor Who Legacy is available to play on Facebook, or can be downloaded for free for iOS, Android or Amazon Kindle.